Caramel flavour Belgian milk chocolate with a salted honeycomb centre. Friends of the honey bee. Finest handcrafted honeycomb. 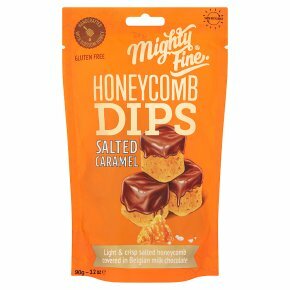 Gluten free.Light and crisp salted honeycomb made with honey and dipped in a caramel flavour, Belgian milk chocolate.